The first time you take a sip of retsina, a Greek white wine, you might be a little shocked. At first glance, retsina looks and even smells like a typical white wine. After your first sip, however, you’ll realize that first impressions are deceiving. It tastes faintly of pine resin, which is actually how the wine got its name. Retsina wine has been made in Greece for at least the past 2000 years. Back then, winemakers often let wine stand in open or porous vessels. Because those vessels let oxygen inside them, the wine would spoil quickly. 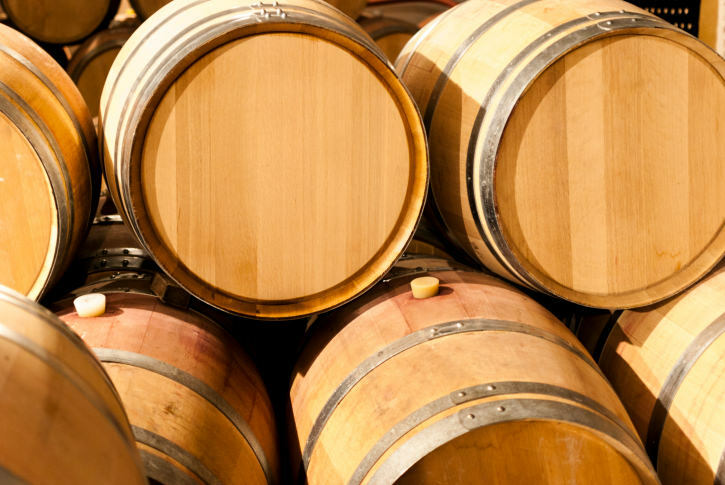 However, the Greeks discovered that if you seal the vessels with pitch from Aleppo pine trees, it will prevent oxygen from getting in and the wine would keep longer. However, it does release the pine flavoring into the wine itself. Today, winemaking and storing methods have improved considerably. So, it’s no longer necessary to use pine pitch to seal the air out of the vessels. Over time, though, the Greek people have acquired a taste for wine that has been perfumed with this distinct evergreen flavor. The same pine pitch from Aleppo pine trees is added to retsina wine while it’s being made, which essentially infuses the wine with these flavors, while still using modern winemaking techniques. In Greece today, retsina wine is made all over Greece. However, the majority of it is actually produced in Attica, Boeotia, and Evia. 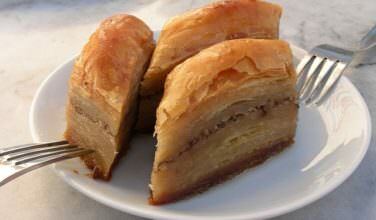 It’s also produced in the Greek-speaking regions of Cyprus, Greece. There are also several different grapes that can be used including Savatiano, Assurtiko, and Rhoditis, and are often blended together. 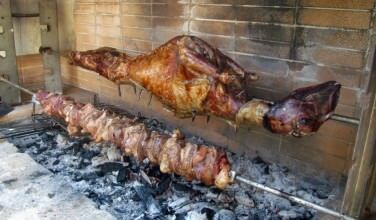 Even for Greeks, retsina is an acquired taste. It’s very rare that you’ll find someone who is indifferent to it. Usually, people either love the way this wine is infused with pine flavors. 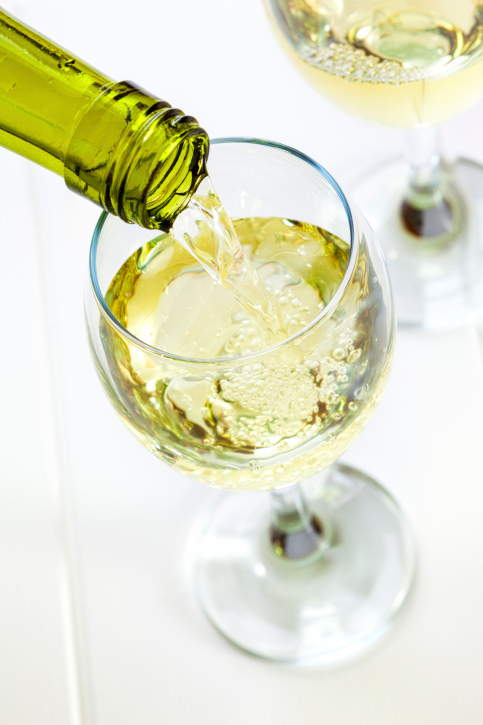 Other people find it a off-putting and would prefer a white wine that doesn’t have the pine flavor. No matter which category you fall under, you can’t deny that this wine is classically Greek and ultra traditional. Like most wines, the way you enjoy it is highly personal. 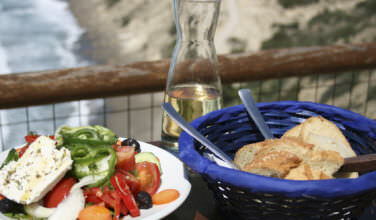 Some people like to sip it in between meals while overlooking the gorgeous Greek landscape. Others like to eat it with their meals. Those who aren’t picky and simply love the wine find that they will drink it anytime they want, as long as it’s slightly chilled. 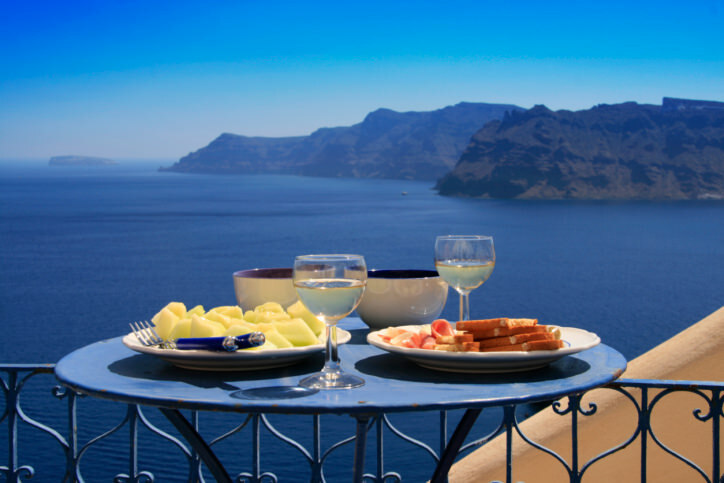 Retsina pairs well with all seafood, especially Greek lobster and other delicate fish. 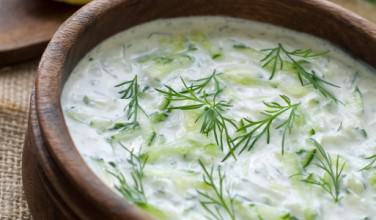 It also goes great with Greek meze spreads that include feta cheese, olives, and even stuffed grape leaves, or dolmades. Other foods that go well with it include cheese pita (tiropita), spinach pita (spanakopita), and light vegetable dishes, such as briam. No matter how you like to enjoy your retsina, one thing is for sure – this wine is about as traditional as it gets in Greece!